Barry Clark Barish (born January 27, 1936) is an American experimental physicist. He is a Linde Professor of Physics, emeritus at California Institute of Technology. He is a leading expert on gravitational waves. Barry C. Barish was born in Omaha, Nebraska, grew up in southern California, and attended high school in Los Angeles. He earned his B.A. in physics (1957) and his Ph.D. in experimental high energy physics (1962) at the University of California, Berkeley. He joined Caltech in 1963 as part of a new experimental effort in particle physics using frontier particle accelerators at the national laboratories. Barish became the Principal Investigator of the Laser Interferometer Gravitational-wave Observatory (LIGO) in 1994 and Director in 1997. He led the effort through the approval of funding by the NSF National Science Board in 1994, the construction and commissioning of the LIGO interferometers in Livingston, LA and Hanford, WA in 1997. He created the LIGO Scientific Collaboration, which now numbers more than 1000 collaborators world-wide to carry out the science. The Initial LIGO detectors reached design sensitivity and set many limits on Astrophysical sources. The Advanced LIGO proposal was developed while Barish was Director and he has continued to play a leading role in LIGO and Advanced LIGO. The first detection of the merger of two 30 solar mass black holes was made on Sept 14, 2015. This represents the first direct detection of gravitational waves, since they were predicted by Einstein in 1916, and the first ever observation of the merger of a pair of black holes. Barish delivered the first presentation on this discovery to a scientific audience at CERN on Feb 11, 2016, simultaneously with the public announcement. Barish's other noteworthy experiments were those performed at Fermilab using high-energy neutrino collisions to reveal the quark substructure of the nucleon. These experiments were among the first to observe the weak neutral current, a linchpin of the electroweak unification theories of Glashow, Salam, and Weinberg. In the 1980s, Barish initiated an ambitious international effort to build a sophisticated underground detector to search for the magnetic monopole and solve other problems in the emerging area of particle astrophysics. Experiments conducted underground in the Gran Sasso Tunnel in Italy provided some of the key evidence that neutrinos have mass. In 1991, Barish was named the Maxine and Ronald Linde Professor of Physics at Caltech. Barry Barish is former Director of the [Global Design Effort] for the International Linear Collider (ILC) and Linde Professor of Physics, Emeritus at the California Institute of Technology. The ILC is the highest priority future project for particle physics worldwide, as it promises to complement the Large Hadron Collider at CERN in exploring the TeV energy scale. This ambitious effort is being uniquely coordinated worldwide, representing a major step in international collaborations going from conception to design to implementation for large scale projects in physics. From 2001 to 2002, Barish served as co-chair of the High Energy Physics Advisory Panel subpanel that developed a long-range plan for U.S. high energy physics. He has chaired the Commission of Particles and Fields and the U.S. Liaison committee to the International Union of Pure and Applied Physics (IUPAP). In 2002 he chaired the NRC Board of Physics and Astronomy Neutrino Facilities Assessment Committee. Report "Neutrinos and Beyond". In 2002, he received the Klopsteg Award of the American Association of Physics Teachers. Barish was honored by the University of Bologna (2006) and University of Florida ( 2007) where he received honorary doctorates. In 2007, delivered the Van Vleck lectures at the University of Minnesota. The University of Glasgow honored Barish with an honorary degree of science in 2013. Barish was honored as a Titan of Physics in the On the Shoulders of Giants series at the 2016 World Science Festival. In 2016, Barish received the Enrico Fermi Prize "for his fundamental contributions to the formation of the LIGO and LIGO-Virgo scientific collaborations and for his role in addressing challenging technological and scientific aspects whose solution led to the first detection of gravitational waves". ↑ Observation of Gravitational Waves from a Binary Black Hole Merger, PhysRevLett.116.061102. ↑ "ILC Global Design Effort". LinearCollider.org. 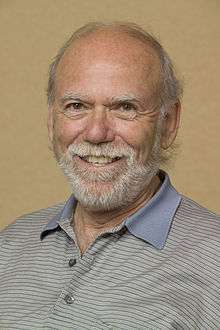 ↑ "Barry Barish to lead International Linear Collider design.". Interactions.org. ↑ "Subpanel on Long Range Planning for US HEP" (PDF). Office of Science. ↑ "American Association of Physics Teachers". h.
↑ "University of Bologna". ILC Newsline. ↑ "Van Vleck Lectures". University of Minnesota. ↑ "On the Shoulders of Giants". World Science Festival. ↑ "2016 Enrico Fermi Prize". Società Italiana di Fisica. Cho, A. (September 26, 2016). "Will Nobel Prize overlook master builder of gravitational wave detectors?". Science. doi:10.1126/science.aah7350. Cho, A. (May 26, 2006). "A Quiet Leader Unites Researchers in Drive for the Next Big Machine". Science. 312 (5777): 1128–1129. doi:10.1126/science.312.5777.1128.